Prosser, Washington, November 26, 2018 – The Society of Collision Repair Specialists (SCRS) is pleased to welcome Subaru of America, Inc. (Subaru) as the newest Original Equipment Manufacturer to pledge a membership in support of the association’s activities. To increase access to the correct repair documentation, Subaru produces and provides Subaru Certified Collision Centers with complimentary subscriptions to Subaru Technical Information System (STIS), the system where the automaker’s repair procedures are housed. Subaru also prioritizes maintaining current position statements, and providing new positions as technology warrants, to help ensure vehicles are repaired correctly. “We at Subaru of America are continuously striving for ways to ensure safe and proper repairs on our vehicles,” added Lancaster. 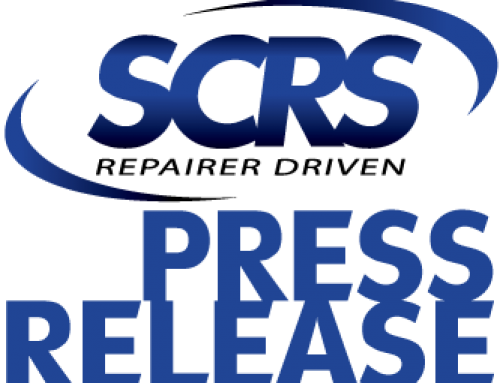 “We’ve found that independent collision centers are one of the best references for such improvements, and SCRS creates a unified voice which helps automotive manufacturers to identify opportunities to assist automakers, as well as the industry as a whole.” For example, as a result of SCRS membership feedback, Subaru recently updated their scanning position statement. In addition to repair-specific information, philanthropic initiatives remain high on the automaker’s priority list. Subaru U is one such initiative which helps young people find a career track in the automotive industry. Subaru supports educational and vocational programs across the country, with intent on addressing the industry-wide struggle for qualified technicians. “We’d like to expand our efforts into the collision industry, as well as educate and grow the Subaru family,” Lancaster stated.